If you have a broken laptop computer with LCD or a not working LCD monitor/TV you can be comforted because there is still option of using it :). 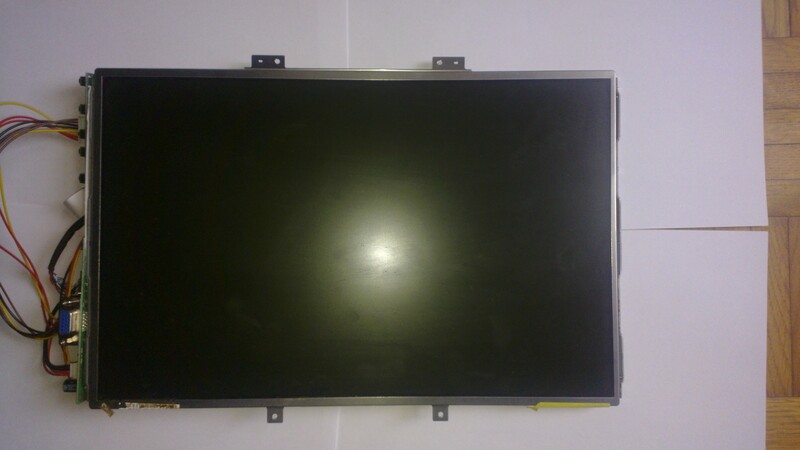 With LCD screens almost always the thing that goes bad is the chip that controls LCD and not the panel itself. Actually, if you think about it, is there anything to go wrong with the panel except your hammer going through it? A good sign of chip going bad is that there is no picture/or having ruined picture on the screen till it works for a while so it can heat up. The only awkward part is getting serial number of the LCD panel. For that you have to unscrew all the plastic parts from around it because it’s a sticker put directly on the panel. With this serial number you go on ebay and search for a controller that suits your needs best. 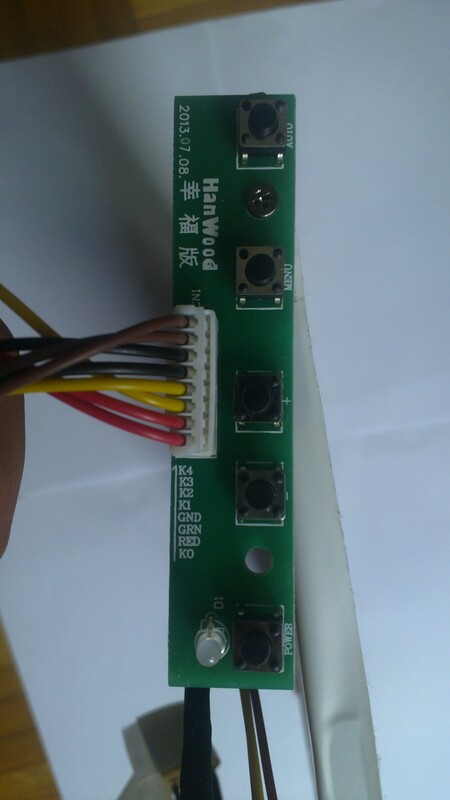 You can get a basic controller with VGA connector and buttons for controlling the screen for about 19€ with posting from China. But of course you can also get one with VGA, DVI, HDMI, TV, USB, Audio, some kind of remote and whatnot that are much more expensive. Buttons for controlling the screen. 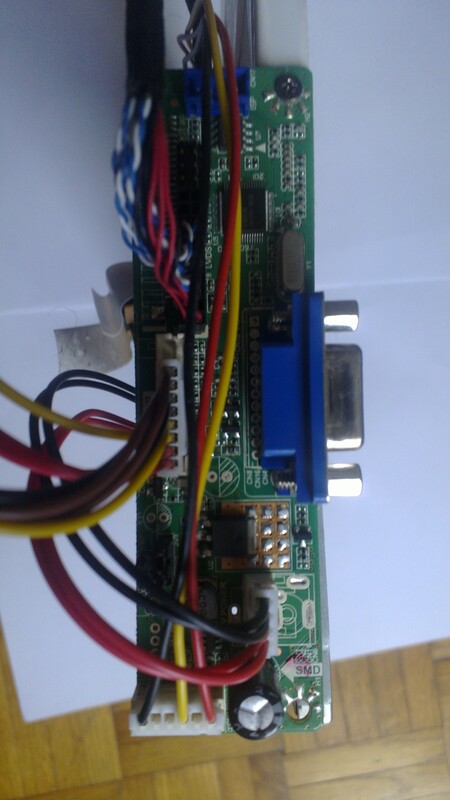 When you order a LCD Controller the seller knows by the serial number how to program it and what components will you also need. So when you get the package all you have to do is assemble a couple of connectors. There is no soldering or anything complex involved. 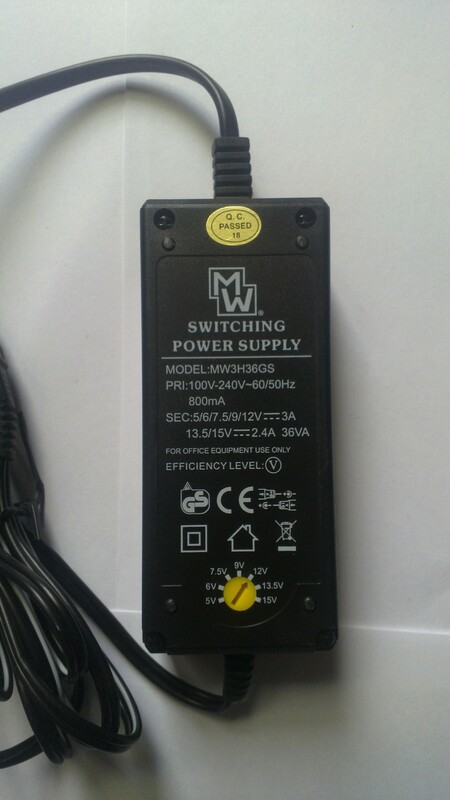 BTW you’ll probably need the power supply because usually it’s not included in the package. 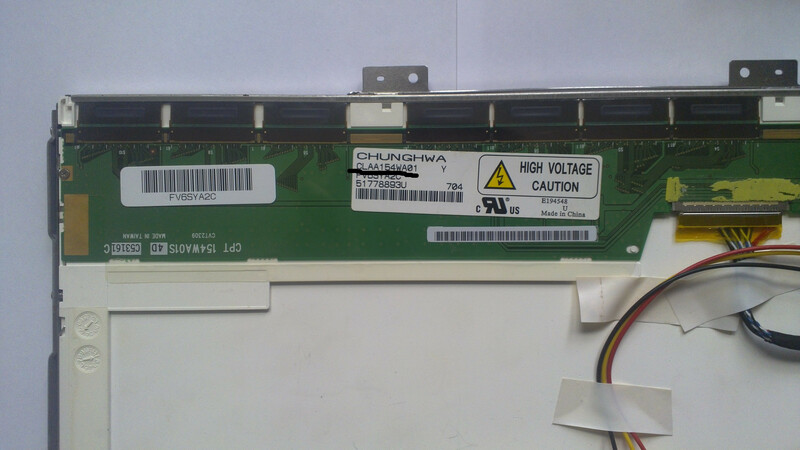 Recomended is 12v 4A.